These pajama pants are great to sew for yourself or give as a gift to that special someone—and just in time for Valentine’s Day. They have cute pockets and are oh-so-comfy. 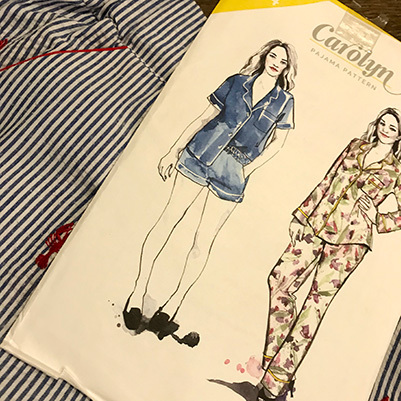 We will be using the Carolyn pajama pattern. Basic sewing skills are required.